Take a dark olive green and a small dotting tool/toothpick and draw two straight line coming from the red, and two dots on either side of the green lines. Draw a curve while connecting the green dots using the same small dotting tool. 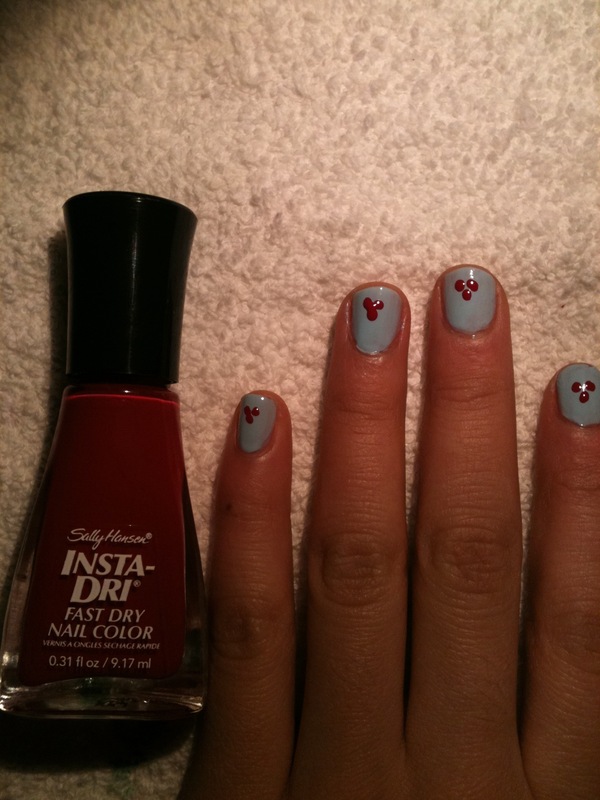 Put on top coat and ta daaaa! 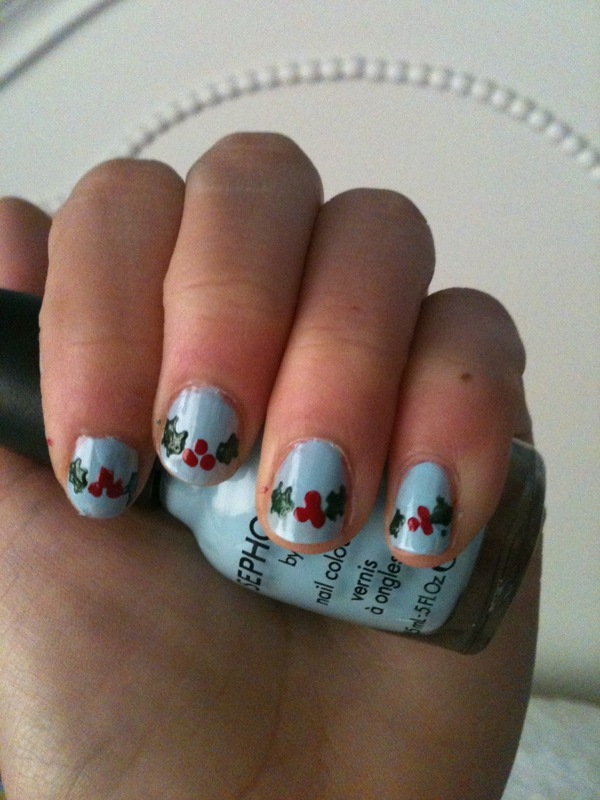 Enjoy your mistletoe nails, and have a Merry Christmas!